Questions are being raised about the authenticity of forensic samples of Bhopal gas victims, crucial for establishing the cause of deaths. Have they been lost? Thirty years after the Bhopal gas tragedy, there is no justice in sight for the survivors of the world’s worst industrial disaster. To make matters worse, the authorities have no forensic evidence of the disaster. It would have proved to be the most crucial evidence in the ongoing trials and would have also helped understand the ill-effects of methyl isocyanate (MIC)-the poisonous gas that leaked from the Union Carbide pesticide plant in Bhopal and killed thousands on the intervening night of December 2-3,1984. 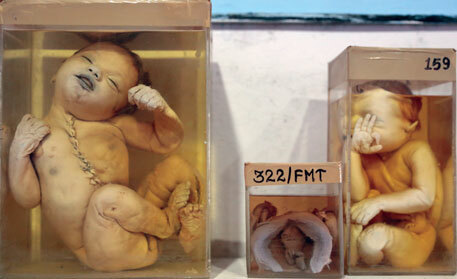 Shockingly, most “samples” that are available, such as preserved foetuses from pregnant women that became the cover photographs of magazines, might not be those of the tragedy victims. “There is not a single sample in our institute which we can say for sure belongs to the gas victims,” says D S Badkur, director of Medico-Legal Institute (MLI) in Bhopal, the government body that collected forensic samples from the disaster site. He maintains that the institute did not have a single forensic sample of the victims when he took charge in 2009. The forensic samples are vital because India at that time hardly knew anything about MIC. “The samples of organs affected by MIC would clearly implicate US multinational Union Carbide (now owned by Dow Chemical) as no other company was making the gas in the country then,” says Abdul Jabbar, convenor of Bhopal Gas Peedit Mahila Udyog Sangathan. The cases in which the samples were put up as evidence are still pending in the courts of the district magistrate and district sessions judge. “The people named in the charge-sheet are influential. The samples were tested by a government body and not by any independent body. What if the accused claim that the victims did not die because of MIC? The evidence to prove that is lost,” says Jabbar. A 2010 report of Indian Council for Medical Research (ICMR) on the Bhopal gas tragedy says Heeresh Chandra, who was the director of MLI at the time of the disaster, received 731 bodies in December 1984, the month the disaster took place. But with the large number of corpses piling up in the first three days, complete autopsy was carried out only on 283 bodies. Another 337 were examined only externally. The autopsy on the remaining bodies were carried out later. Immediately after the gas leak, nearly 400 samples were sent to various government organsations, including the Defence Research Institute in Gwalior, Pathology Institute in New Delhi, ICMR in New Delhi, Indian Toxicology Institute in Lucknow, Forensic Laboratory in Gujarat and the Central Bureau of Investigation in New Delhi. D K Satpathy, who took over as director of MLI from Chandra in 1990, says 200 samples were kept in a huge freezer at the institute. According to him, he had employed two persons to guard the freezer because the preserved organs could help in establishing the cause of death. “Since it was expensive to preserve the samples, I wrote letters to ICMR, Defence Research Institute and various other institutes, asking what should be done with the samples. Nobody showed interest,” he says, adding that perhaps the Centre or the state did not want to dispose of the samples as they “were scared of being accused of being bribed by Union Carbide for the destruction of medical evidence”. But, Satpathy claims, during a long power cut in June 1999, the freezer stopped functioning and most of the samples got destroyed. He says only a few samples that “were kept in formalin” were saved. The samples include babies and foetuses, the photographs of which have been used in many stories on the tragedy carried in leading publications. “I handed over all these things to the institute when I retired,” he says. However, Badkur, who took over as director of MLI after Satpathy, says the photographs cannot be of the Bhopal victims as “there was not a single sample” when he joined. “Even I am surprised when I see photos of foetuses in magazines and newspapers claiming they are of the gas victims,” he says. Badkur was joint director at the institute when Satpathy was in charge. One of the reasons why people continue to suffer from the effects of the leaked gas even 30 years after the incident is that very little research has been undertaken on how to combat MIC, says Badkur. It could have been possible with the help of the samples that no longer exist. “While there is enough medical data which shows genetic mutation in MIC victims, autopsy studies have not been done to substantiate it,” he says. Worse, the state government stopped monitoring mortalities caused by MIC in 1992. 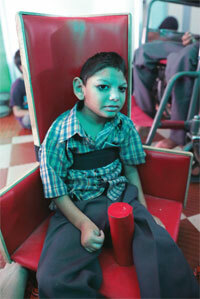 In January 2009, ICMR invited research proposals to study the effects of MIC poisoning. But the medical fraternity showed little interest in it. In the absence of good proposals, the council has kept the call for research open till it gets some significant proposals. Katoch says the call for proposals was an opportunity to develop an antidote for cyanide poisoning. “ICMR can’t ask scientists to study subjects that do not interest them. Though genetic abnormalities have been seen, there hasn’t been enough study to establish the extent of genetic mutation. To understand cyanide poisoning better, concrete studies have to be done,” he says. The photos are too graphic!